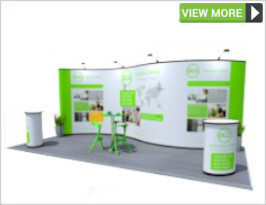 It's easy to understand why Nomadic Pop Up Stands are still the world's most popular display stands. 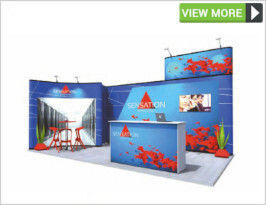 Innovative, custom-tailored, portable display solutions designed to promote and build your brand at trade shows and exhibitions. 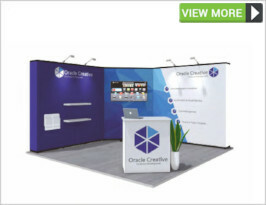 Invented by Nomadic Display, no other Pop Up system offers you the same ease of set up, portability and modularity, supported with a “No Questions Asked - Lifetime Warranty"
Choose from any of these designs or variations of, or contact our display specialists to help you design the best solution for your events. 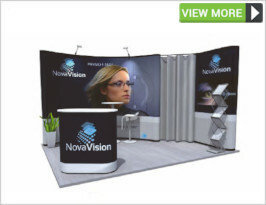 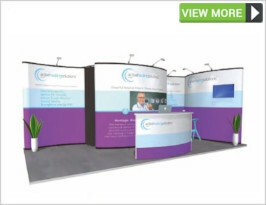 Purchasing a Nomadic Pop Up Stand allows you to invest in a stand today knowing that as your business and exhibition requirements grow, you can add new solutions to your purchase to scale that stand up and make it even larger in the future. 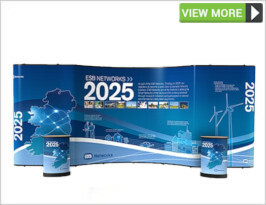 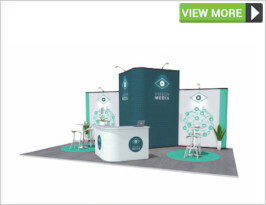 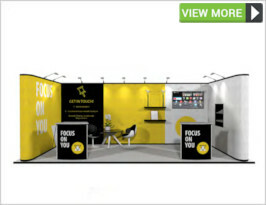 By connecting Pop Up frames together, truly unique and customised dynamic promotional and selling environments can be created to suit each and every event.